On Monday, McCann’s 2018 “Truth Seekers” summer interns attended a presentation from McCann Worldgroup CEO Harris Diamond. 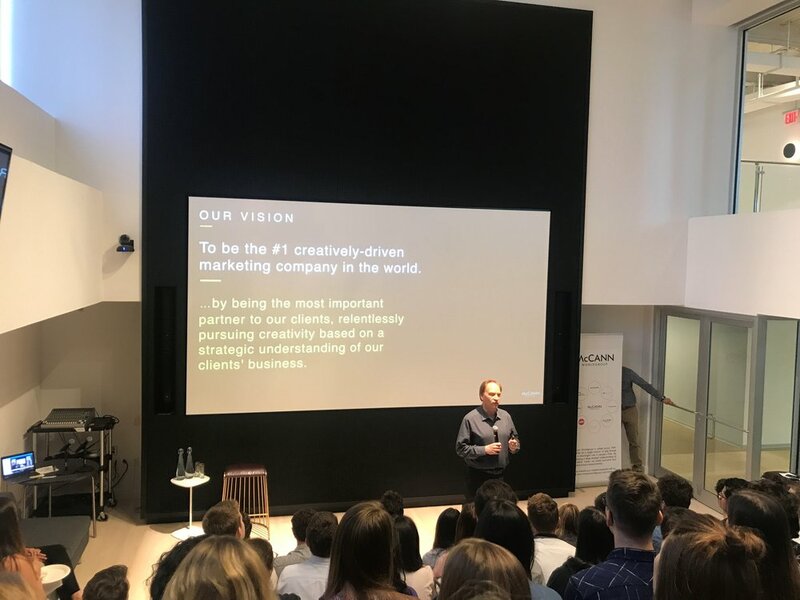 Harris summed up the network’s vision, recapped its success over the last year, and spent the remainder of the time answering questions from the audience, which consisted of interns from a variety of McCann agencies in addition to those from the NY office. These questions spanned topics from the future of the advertising industry, to career advice, to what motivates Harris to get out of bed in the morning. Harris, a self (and industry) proclaimed “client guy,” spoke about the merits of working in a service industry, and the pride he has in his clients and their success. He heavily emphasized the value in understanding the agency’s clients and their businesses, which he believes the McCann does especially well because of its agencies’ local expertise within a global network; because of this, as well as “McCann’s understanding of the benefits and requirements of diversity,” the work process helps McCann and its clients understand consumers – allowing McCann to be a top agency and ensure its clients’ effectiveness. As a parting message to the audience, Harris reminded the interns that if they decide advertising is the industry for them, McCann is the best place to do it.